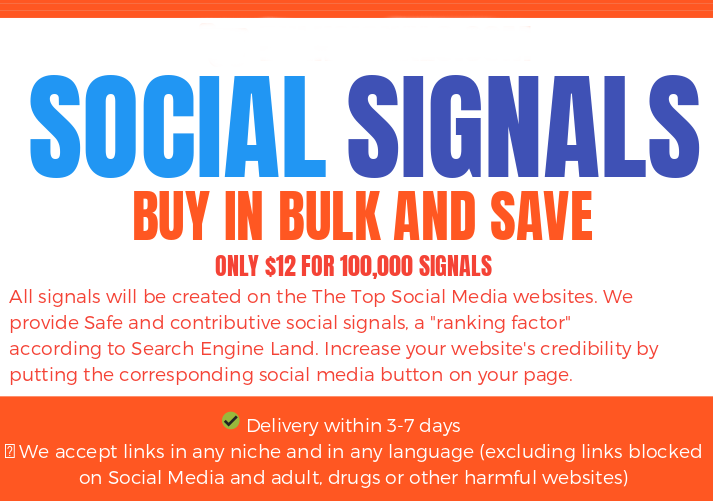 For example if you buy 100,000 signals, it would cost only $12, otherwise you need to pay $0.50 per 1000. 500,000 signals only $30 and it will cost 5 x $12 total $60 if you buy 5 times 100K. Impressive, isn't it? You will be asked for your link on ordering and that’s everything. We don’t need keywords, just your main website link. You must include http:// or https:// otherwise it may not work properly. We are not responible if you don’t include this. in this industry for more than 9 years.